The Department of Chemistry at Oklahoma State University is pleased to announce a new NSF REU (Research Experience for Undergraduates) award, which is active for three years beginning in May, 2016. The grant will allow interested undergraduate chemistry majors to experience an intense 10-week summer research program working with faculty researchers in the Department of Chemistry. A summer research stipend is provided. Through direct interection with any one of the 15 participating faculty, students will gain hands-on access to a critical mass of modern, cutting-edge interdisciplinary research expertise in areas like materials chemistry, synthetic medicinal and pharmaceutical chemistry, advanced spectroscopies, chemical biology, chemical education, catalysis, environmental chemistry, and bioanalytical chemistry. The research environment within the department is broad and dynamic, and enjoys the benefits of significant competitive research funding from NSF, NIH, DOE, USDA, and others, as well as ongoing collaborative research projects with several industrial partners. At the end of the program, all REU students should be able to determine if long-term activity in research, including graduate studies, is an attractive career option, while at the same time contributing to the ongoing research in these fields. Dr. Jeff White (jeff.white@okstate.edu) is the Principal Investigator for this award, and Dr. Smita Mohanty (smita.mohanty@okstate.edu) is the co-Principal Investigator. However, almost all of our research active faculty (http://chemistry.okstate.edu/faculty) will participate in the program. 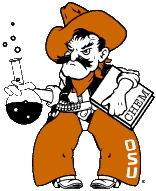 The chemistry Department at Oklahoma State University houses a wide range of state-of-the-art equipment, both in individual and departmental laboratories. Click here to learn more about the available instruementation and facilities in the chemistry department. 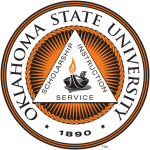 Housing and meals are provided through the Oklahoma State University Residence Hall facilities. In addition, a $5000.00 stipend is awarded for the 10-week program. Additional travel funds are available to allow participating students to present their research at a national ACS meeting. NSF requires that participating students hold US citizenship or permanent residency, and that they are currently enrolled as an undergraduate student in chemistry or very closely related discipline. Students who will graduate at the end of the Spring/Summer 2018 are NOT eligible for this program. Students are encouraged to apply as soon as possible for the summer 2018 program. The deadline for the application is March 19, 2018. Click here the learn more about the application process.